Old map by ANONYMOUS -King David. 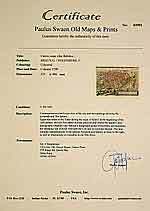 Size: 6.7 x 4.9 inches. 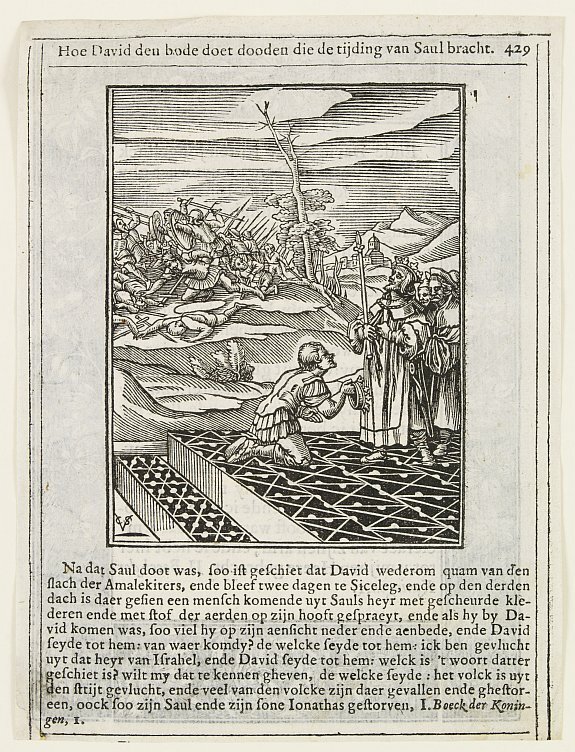 RECTO: An engraving showing king David, who is receiving the messenger telling him king Saul is killed in a battle, and bringing him Saul's crown. Text in Dutch.